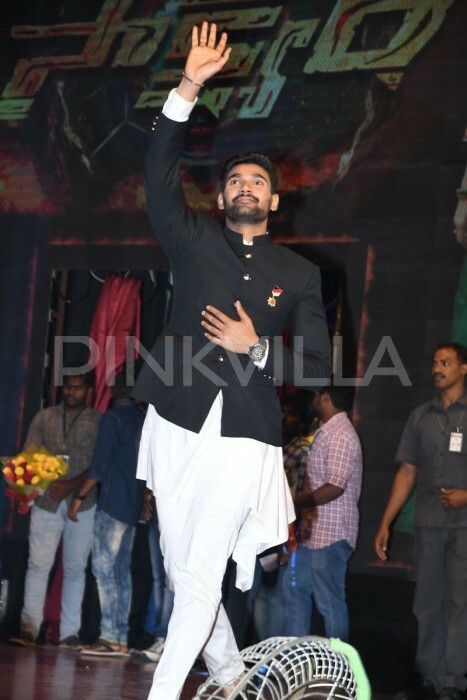 Bellamkonda Sreenivas, who was last seen in ‘Jaya Janaki Nayaka’, has geared up with the promotions of his next Saakshyam, starring Pooja Hegde as the lead actress. 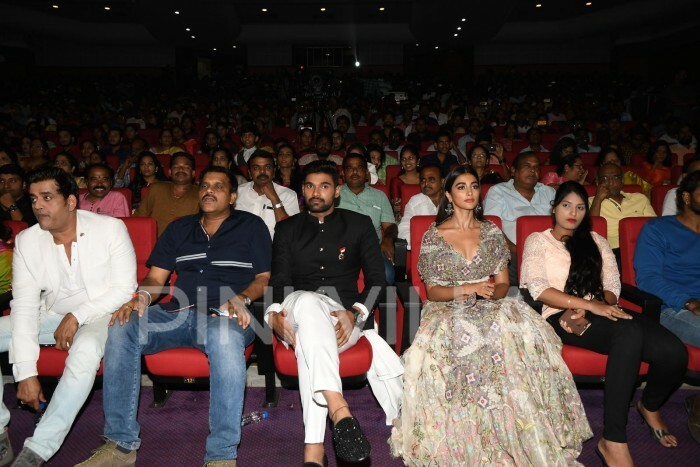 The audio launch took place yesterday attended by the complete cast and crew of the film including the lead actors Bellamkonda Sreenivas and Pooja Hegde. 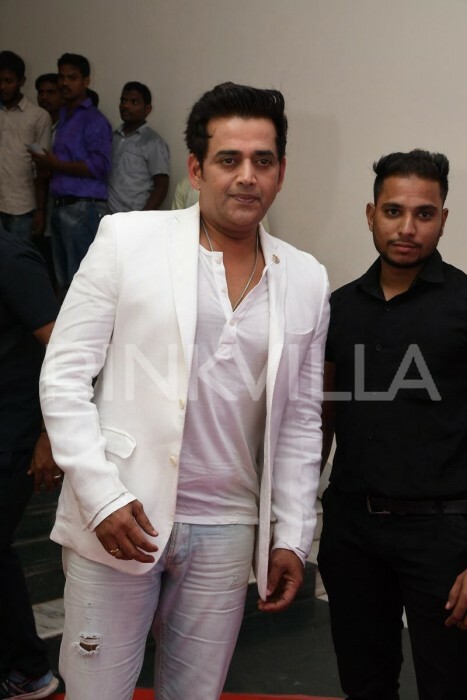 Also seen at the audio launch was Ravi Kishan, who made an appearance in all-white. 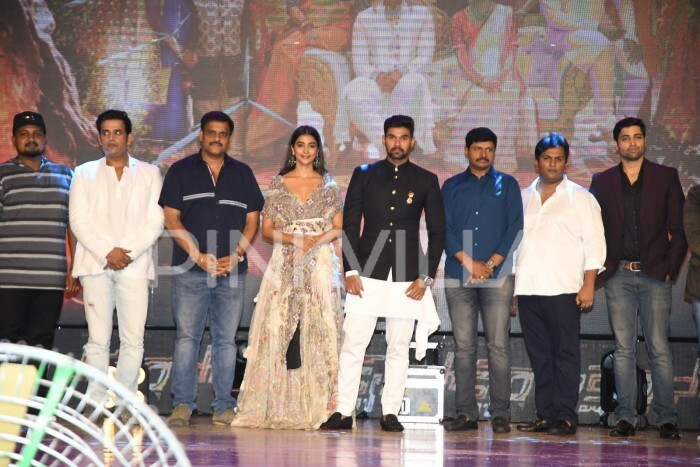 The gorgeous Pooja Hegde made an eye-grabbing appearance in an Anamika Khanna outfit. 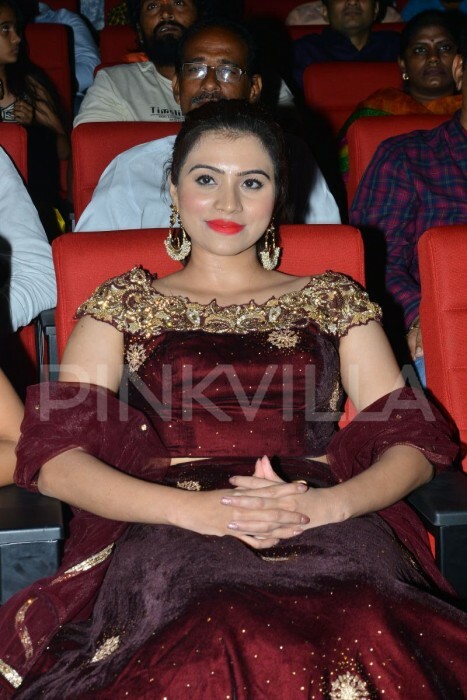 A pair of silver earrings, coral lips and centre parted straight hair rounded out her look perfectly. 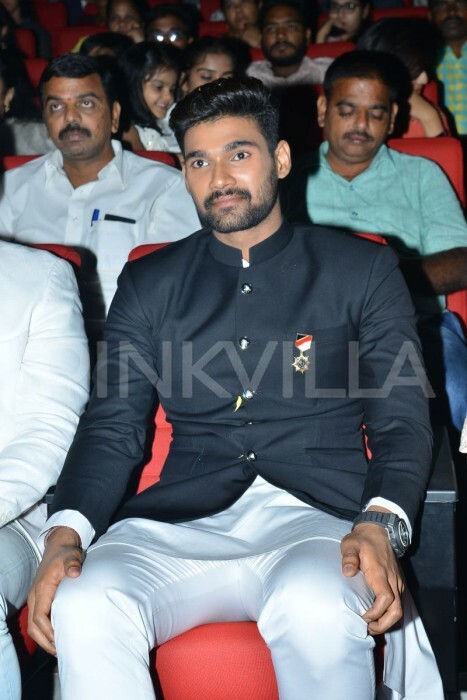 Bellamkonda Sreenivas also made a dapper appearance in traditional attire. 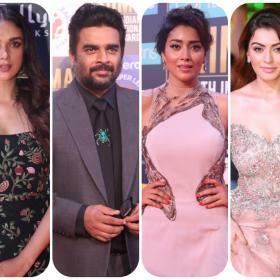 Written and directed by Sirwaasu, Saakshyam highlights the fifth direction of Karma Siddhantha. Harshavardhan Rameshwar has scored the music for this flick and Anant Sriram has penned the lyrics. 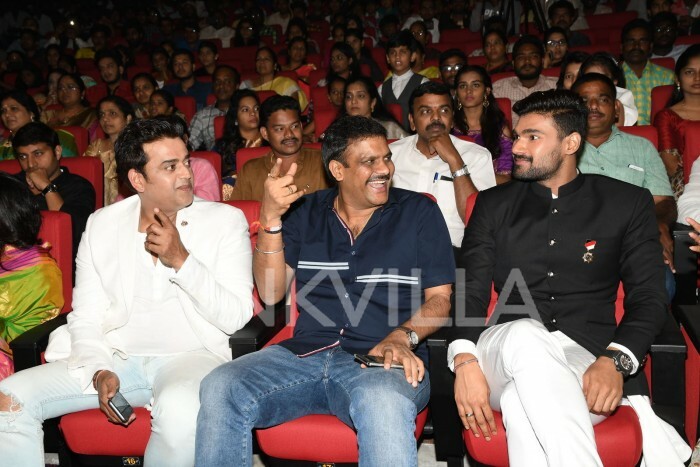 Saakshyam is slated to release this month!